Philip Ashley (Claflin) is a young man whose guardian, Ambrose Ashley, owns a large Cornish estate. When Ambrose travels to Italy, his letters home tell of a woman he’s met, their mutual cousin, Rachel (Weisz). They are married, but it’s not long before Ambrose falls ill. His letters become increasingly paranoid, with claims that Rachel is watching him closely and that he can trust no one, and so Philip travels to Italy and the villa where Ambrose is living. There he meets Rainaldi (Favino), a friend of Rachel’s who tells Philip that Ambrose has died of a brain tumour. Philip returns home without meeting Rachel, and once there, he inherits the estate. Blaming Rachel for Ambrose’s death (he doesn’t believe there was a brain tumour), he makes it clear that if they ever meet he will exact a punishment on her. Not long after, though, Rachel arrives at the estate, and despite his vengeful intentions, Philip finds himself fascinated by her. In between all this uninspiring swooning, the movie remembers to include scenes that paint Rachel as some kind of predatory black widow (as well as Ambrose’s sad demise, her first husband was killed in a duel). This secondary plot (which should be the movie’s primary one), relies heavily on Ambrose having left hidden notes and letters in his clothing and books, and their being conveniently found just when Rachel’s potential perfidy needs a nudge in the right direction. Out of this, any ambiguity is brushed aside as Michell’s script lacks the panache to sow doubt in the mind of the viewer. And if you’re familiar with the novel or Henry Koster’s 1952 version, then you’ll already know the outcome, something that Michell fumbles badly thanks to a very, very clumsy piece of foreshadowing, and an equally clumsy denouement. 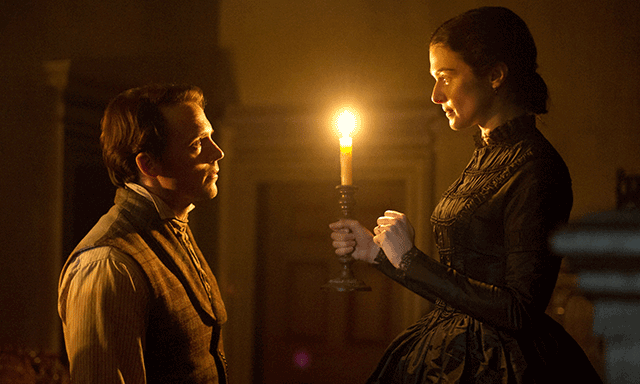 Against this, Weisz delivers an arresting performance that in many ways highlights the paucity of ideas and the lack of energy that the movie exhibits elsewhere. Weisz’s career can safely be described as eclectic, and in recent years she’s done some of her best work. 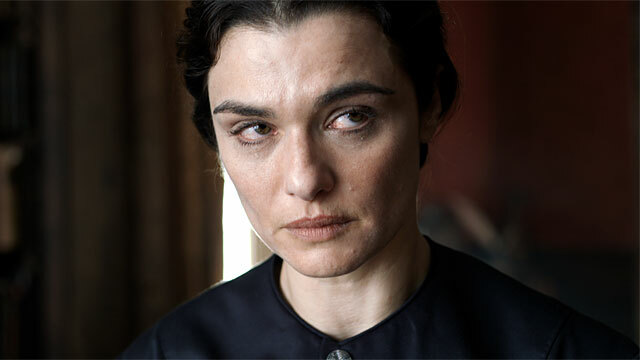 As Rachel, Weisz is an hypnotic presence, her round, moon-faced features expressing vulnerability, pride, determination, gratitude and forbearance in equal measure. As the naïve Philip, Claflin has the harder task, and he doesn’t always succeed, but this is due more to the script than his portrayal, as the character is more callow than necessary, and he operates on a dramatic level that never allows the viewer to feel sorry for him. Grainger (as Kendall’s daughter) and Glen offer solid support, while there’s a terrific turn from Barlow as the estate’s chief overseer, Secombe. It’s all wrapped up in a bucolic haze that’s further enhanced by Mike Eley’s evocative cinematography and Alice Normington’s impressive production design. 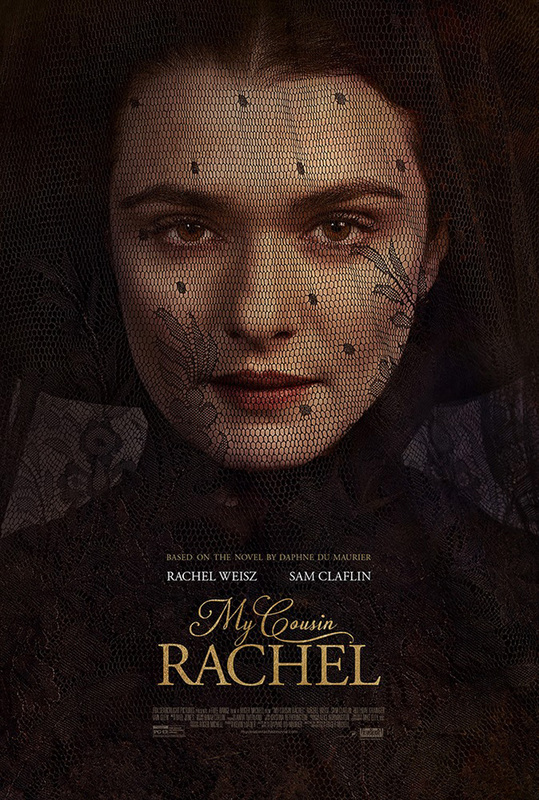 Rating: 5/10 – a movie that could have been a whole lot better had its writer/director tried harder to make it more compelling, and more of a psychological thriller, My Cousin Rachel is undermined by its inability to seem more than a stifled piece of moviemaking; Weisz’s performance almost makes up for its obvious shortcomings, but if you have to see this then adjust your expectations accordingly. Nick (Broadbent) and Meg (Duncan) are celebrating their 30th wedding anniversary with a weekend in Paris, returning to where they had their honeymoon. It soon becomes clear that all is not well with their marriage, and that their relationship is foundering: they’ve lost any intimacy they once had, and Nick has recently lost his job as a teacher. As well, there are accusations of adultery, emotional abuse and repeated examples of each other’s despair at how things have gone so wrong. Nick is physically needy, while Meg is emotionally needy; both characters seem unwilling or unable to see beyond their own misgivings or regrets and rekindle the love they once had. This makes for a chilly romance between the pair who can imitate the love they once felt for each other, but have no idea how to resolve the issues they have. A chance encounter with one of Nick’s old college pals (Goldblum) leads to a dinner party invite and the confrontation of feelings they have been avoiding for so long. 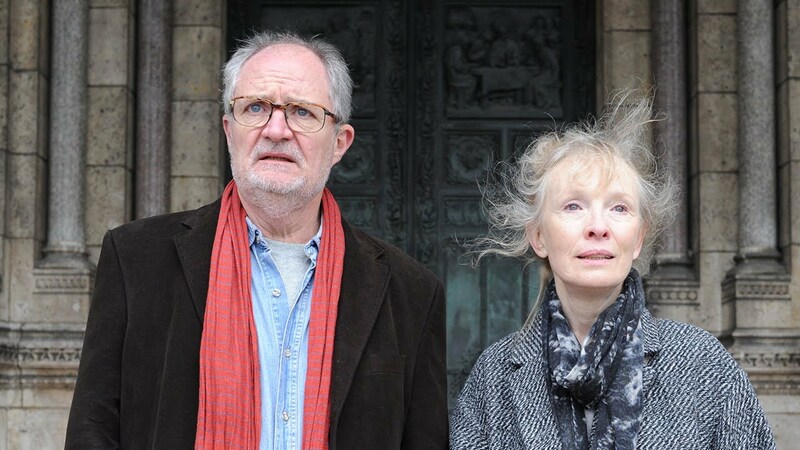 Working from a script by Hanif Kureishi, director Michell has fashioned a creaking treatise on faded love and what it means to be aware of that loss within a failing relationship. Broadbent and Duncan are saddled with some awful, trite dialogue that wants to be meaningful but falls far short of the mark. At the dinner party, Nick makes a dreadful speech outlining his feelings that is so out-of-place and awkward it would only appear in a movie where the characters’ main purpose is to navel gaze repeatedly. Why movie makers continue to believe the dinner party confession is still a viable set piece in this day and age is incredible. On the plus side, Paris is as lovely as expected (there’s a particularly impressive view of the Eiffel Tower from Nick and Meg’s hotel room balcony), and Goldblum is a welcome antidote to the verbal posturings inflicted on the audience by his senior co-stars. By the movie’s end – itself feeling truncated and leaving things unresolved – it’s hard to care if Nick and Meg manage to sort things out or not. Still, it’s good to see Broadbent and Duncan in action – however hampered they are by the script – and at a trim 93 minutes, the movie doesn’t outstay its welcome. What would be interesting however, is this movie given a Before Sunset/Sunrise/Midnight make over; what Richard Linklater, Ethan Hawke and Julie Delpy could make of this idea… now that would be interesting. 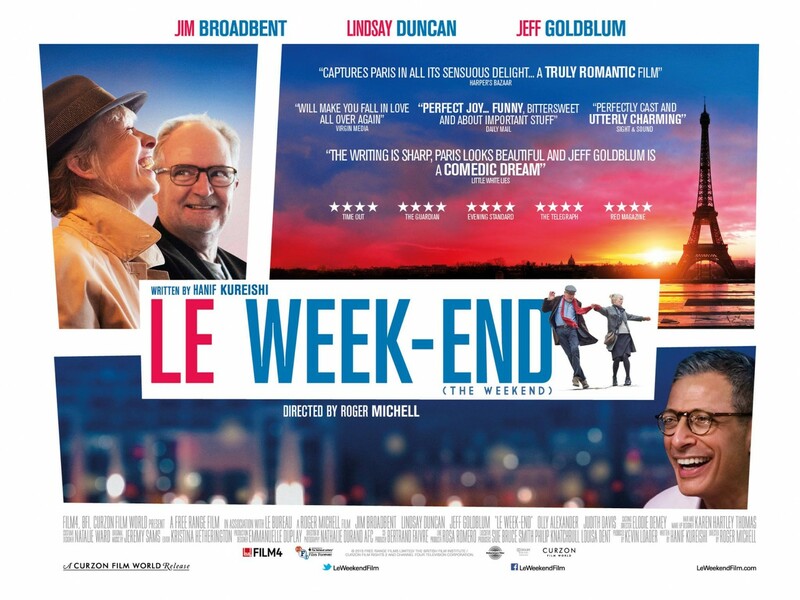 Rating: 5/10 – a sadly under-performing movie, Le Week-end strives to be profound in its own small way, but merely ends up sounding arch; growing old is bad enough without the possibility of ending up like Nick and Meg.